Yes, we survived. Yes, it is awesome. And yes, I did meet Kara’s parents for the first time! Finally we managed to get INTO the notorious Dead Sea. We’ve driven past it 4 or 5 times now, but until this weekend had not actually been in the damn thing. It’s 40minutes or so drive from Amman, which is really cool. The Dead Sea is the lowest point on Earth, some 420 metres below Sea level. The water is incredible salty, and filled with minerals, so nothing much lives in there and you can’t sink. 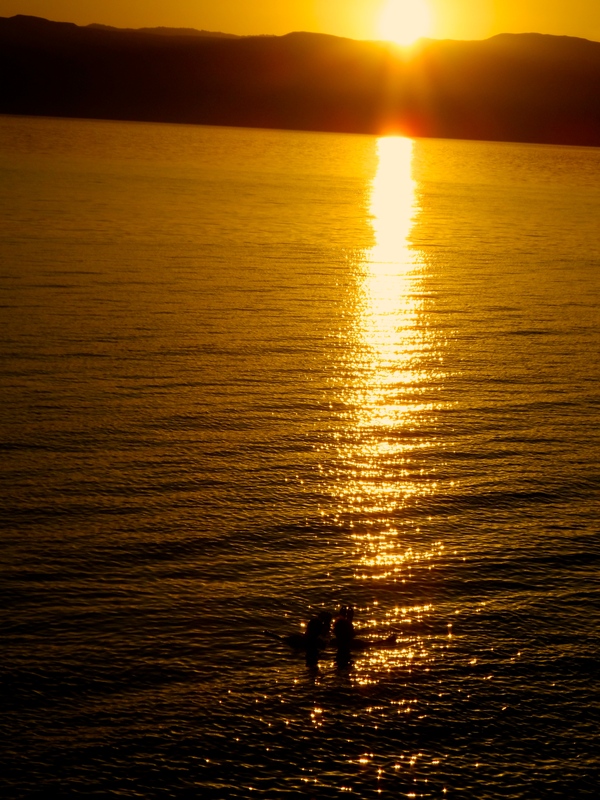 Kara and I in the Dead Sea at sunset. Yep. You just float. Whether you want to or not, you’re staying above the water. It’s an amazing sensation. You can literally me motionless in a standing position and just sort of bob. You’re like a buoy. The order of events is thus: Get in the water. Feel confused. Laugh. Accidentally get splashed in the face with the water and cry (salt in eye = horribly painful). DO NOT TOUCH YOUR FACE after your hands have been in the sea. After that, get out. Cover yourself in mud. Wait for the mud to try. Jump/slide back in and wash off. Then, joke about how everyone looks 10 years younger and go have a beer. It’s great and I highly recommend it. 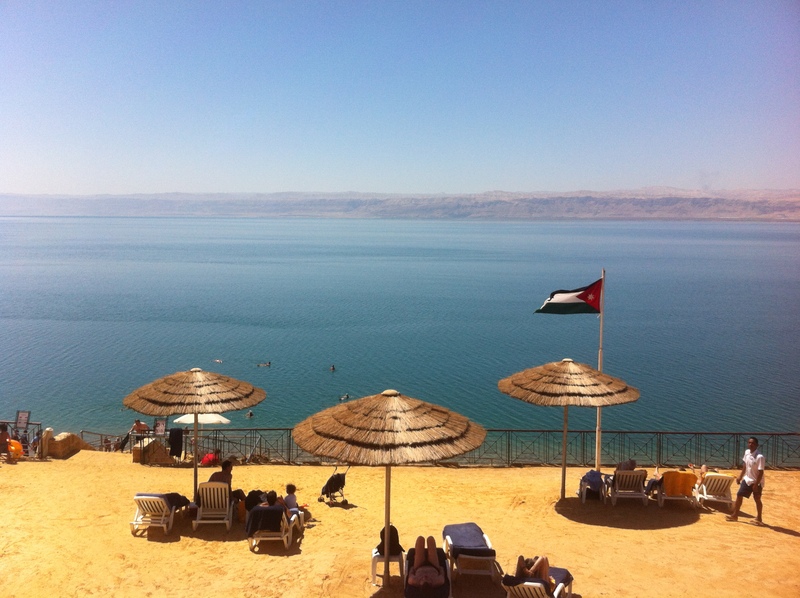 The Dead Sea is between Israel and Jordan, you can get to it from either country. We stayed at the Movenpick on the Jordanian side, which is a gorgeous resort with a private beach and loads of pools and decks. If you’re a foreigner it’s probably best to stick to private beaches; bikinis and locals do not mix. And yep, I met Kara’s folks for the first time. Her dad is scary and intimidated me but seems like a very kind and witty guy, and her mum is as cute as a button! She’s really fun. ← Student Union Election Day – Middle Eastern style.